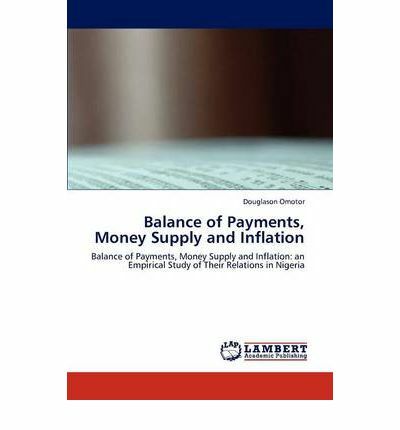 This book seeks to find out if the balance of payments influence variation in the money stock and if in turn, the money supply exert changes in the inflationary spiral in Nigeria.The Granger test is also invoked to determine the line of causation between the balance of payments and money supply on the one hand, and money supply ad inflation on the other hand. Various equations are estimated in order to test the framed hypotheses. The major results of the empirical tests are that: (i) developments in the external sector is reflected in money supply behaviour; (ii) sterilization of foreign net flows is absent given its low value (iii) inflation in Nigeria is positively and significantly influenced by money supply but more by real output. And that flexible exchange rates are more potent. This suggests a higher inflation in the era of the Structure Adjustment Programme. The concluding remarks emphasized the sustainable use of sterilization instrument (open market sale of treasury bills) to check the unprecedented money supply growth. This also will proceed to alleviate the inflation pressure in Nigeria.